There are many approaches to therapy. There is no one best approach as each have their strengths and weaknesses. We use a recognised approach called the Integrative Model, which utilises the most effective elements from the main schools of modern therapy. It draws upon and integrates key elements of Cognitive Behavioural Therapy (CBT), Person Centred Therapy and modern Gestalt schools of counselling. Our model quickly gets to the heart of the issue from which point clients can then decide how they would like to proceed. Both the duration and depth of work therefore are entirely down to the wishes of our clients. In addition to these, we also provide support around many other problem areas which are listed at the foot of the page. Life today can be hectic. There seems to be ever increasing demands being placed upon us. Whether it is managers requiring more of us in the workplace; the demands of our relationships and home life requiring more from us than we sometimes have the energy to give; elderly parents requiring care; financial worries, or other demands, this list of modern day responsibilities is certainly not exhaustive. As we try and juggle these demands from all sides it can feel as if everybody wants a piece of us. Trying to manage all of these pressures can feel overwhelming especially if we perceive that we are falling short of our own or of someone else’s expectations. A low level of stress in itself can sometimes be helpful to propel us through the demanding times; our bodies even produce adrenalin for this reason. Problems can arise however when stressing becomes a chronic coping mechanism to help us manage our home, personal and work life issues. This may happen gradually over a period of time without us even realising it. Sometimes, if we become chronically stressed or anxious, our bodies may produce too much adrenalin and we can feel like we are constantly on ‘high alert’ whilst at the same time feeling exhausted. We may begin to feel unwell physically, mentally and emotionally as if we are ‘burning out’. We may experience feelings of ‘dread and worry’ which can invade our thoughts, some people can even experience panic attacks. Eventually, if these feelings are left untreated they can manifest themselves as Depression. The pressures leading to chronic stress therefore can come from one or many different aspects of our life. We tend to automatically react to these pressures rather than considering our options and making more reasoned, informed choices that limit their impact. 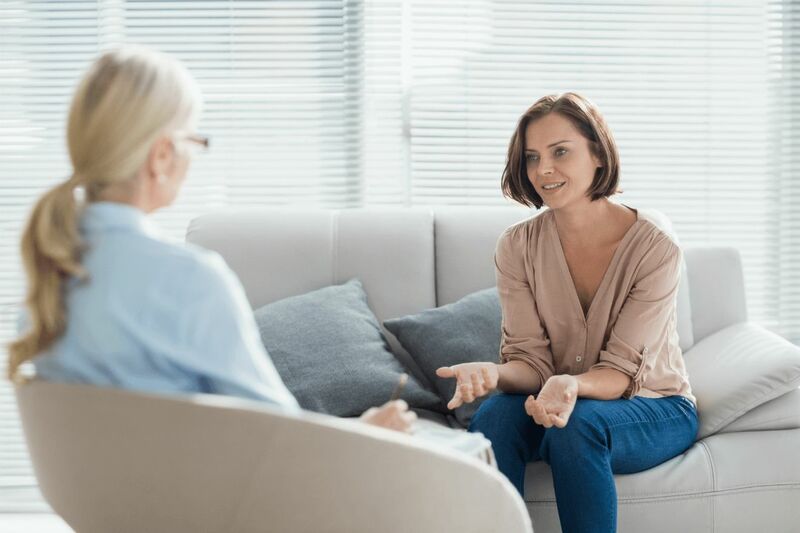 Counselling can help you to get a better perspective on things, help you to get to the root of your anxiety or stress and show you more effective ways of managing and dealing with it. Our practice can also offer a range of specially designed relaxation exercises which build upon each other and can help you better manage your life situations and improve your overall wellbeing. Feeling low in mood? Lost all motivation and hope and finding it hard to cope? The chances are you could be Depressed. Depression now affects 1 in 5 adults in the UK, so it is a very common problem. Some, if not all of us have at times felt a bit down or overwhelmed by events that have happened in our lives. Sometimes we are able to just pick ourselves up and move on. At others times, the hurdles we face can seem insurmountable and we can lose our sense of purpose and belief in ourselves or others. In not being able to deal with painful episodes in their lives, many people fall into a downward spiral of disconnection with other people and even from themselves. Feelings of low self-esteem or unworthiness can begin to creep in and leave a person feeling hopeless or powerless in believing they can ever overcome their difficulties. Sometimes after a prolonged period of feeling depressed a person begins to believe that life isn’t worth living, that nobody cares about them or would miss them if they weren’t here and thoughts of taking their life or harming themselves seem the only solution to their pain. Often the only ‘remedy’ provided is in the form of prescription drugs or anti-depressants. While these can often provide short term benefits, they do not offer a long-term solution as they simply help to manage the symptoms but never tackle the fundamental underlying problems. Our model of Therapy understands this process (the nature of Depression) and is extremely supportive in helping clients to re-engage with themselves and their lives. With many years of experience behind us in treating clients, we know that Anger continues to be one of the most common issues brought into Counselling sessions. Anger is, however, a natural response to feeling attacked, deceived, frustrated or treated unfairly. Everyone gets angry sometimes, it’s part of being human and isn’t always a bad emotion. Sometimes it can be useful as it motivates us to create change, or helps us to defend ourselves in dangerous situations by giving us a burst of energy. Anger only becomes a problem when it harms you or people around you. The expression of inappropriate Anger can lead to the breakdown of relationships, it can impact on families, cause difficulties in the workplace and generally leaves a person over time feeling dissatisfied and at a low ebb. There can be many reasons why a person becomes angry. Sometimes things happen to us in life which we feel are unfair or unjust, sometimes we feel disappointed at how our lives have turned out; maybe we even feel disappointed within ourselves for letting someone else down or that someone else has let us down. Whatever the reason, harbouring feelings of anger and resentment can eventually lead to chronic problems both physically and mentally for clients and their families. Anger in itself is usually a coping strategy (although an unhealthy one) which people can adopt to avoid having to look at or deal with painful episodes in their lives. We can become so entrenched in feelings of being owed and of the injustice of a situation that over time we even forget why we became angry in the first place. Often we have just learned to live with it and have learned to use it to compensate for other areas in our life where we feel deeply hurt, sad, mistreated or ignored. If this sounds like you and how you are feeling, please get in touch. This is an area of particular interest to us and an area where we have had considerable experience and success in helping people. Grief and the low mood that generally comes with it, is a natural response to losing someone or something we love. At some time in our life we will experience loss and, for the most part, we will process our grief naturally and will move through the various stages of the grieving process as we feel able. Loss does not just mean the loss of a special person or persons in our life, it can also mean experiencing the loss of a relationship, a friendship, a job or anything that we care about that is significant in our life. As human beings, we are designed to cope with loss and death as a natural part of living and at some time in our lives all of us will pass away. How long your grief over a loss will last will be individual to you. There is no set pattern or time frame in how a person comes to terms with loss. From time to time however, some people become stuck in their grieving process and for many different reasons find it difficult to move on or accept the changes or feelings that loss can bring about. Incomplete grieving can have a significant impact on a person and on their life and relationships and, over time, can leave a person feeling quite debilitated. Our framework of Counselling in this area is designed to support you at whatever stage of the grieving process you are going through. We understand the uniqueness of each individual and of the struggles that can ensue from a significant loss. One of our primal instincts is to seek out a mate, someone we can share our lives with, someone who can be our important other, our friend or companion. It is generally accepted that most of us function better when we form close relationships with others. When we have someone who cares for us and when we can care for others, we can function at our optimum. Relationships come in all shapes and sizes. They can be novel, exciting and fun but they can also be challenging, complex or destructive not to mention ‘messy’ if they go wrong or break down. Sometimes we can stay in relationships that over time we know have become unhealthy; that we know aren’t good for us but we stay in them anyway. The reasons for this are many-sided; maybe we feel too scared or insecure to break free and go it alone; maybe we have lost our sense of self as our partners seem to hold all the power in the relationship; or maybe we just feel lost or stuck in a rut or that we have forgotten simply how to communicate with one another and be open and honest with our feelings. Whatever the reason, it can be stressful and upsetting when our relationships begin to break down. One of the great benefits of working with an experienced counsellor on relationship issues either individually or in couple’s therapy is that there is an independent person able to provide a different perspective and insight. It is not about taking sides or favouring one partner over the other. It is about finding ways to help both partners understand each other better within the context of their relationship and exploring the possibilities of making key changes in a more effective and positive way. These days there appear to be increasing references made in the media about many types of behaviour usually considered to be part and parcel of our normal lives but which have become ‘compulsive’ or ‘addictive’ for individuals. Many of these activities, such as eating, shopping and sexual behaviour however are already a core part of our everyday living. These only become problem behaviours when they become a fixation for people and where that type of behaviour becomes a type of crutch that people believe they cannot do without. Indeed, some of these behaviours are linked to the production in our brains of chemicals that produce natural ‘highs’ in people. The degree to which any particular behaviour in a person is viewed as compulsive or addictive is usually very differently between that individual and their friends and family. The perpetrator often tries to keep their activities secret and often refuses to acknowledge the actual impact on themselves and others. Irrespective of the types of behaviour, there is no doubt that addictions and compulsive behaviours can become well engrained in individuals over time. Many common addictions such as excessive alcohol or drug taking are known to create definite chemical dependencies that chronically affect people at a physical level. Other behaviours involve the release of more subtle neurochemicals including adrenalin and dopamine. Whatever types of issues are showing themselves, compulsions and addictions are usually the symptom of some deeper psychological issues that have yet to be resolved. Our approach in this area is to help people see the extent of the problems being caused by their reliance on their behaviour and then to offer real understanding and support for those expressing a firm commitment and desire to change. This can be a tough road. We can’t do it for you but we understand the difficulties you are facing and will be there to support you all the way. However, the creation of a greater spread of sexual identity groups, only helps once a person with doubts or confusion about their own sexual identity has come to terms with their preferred norm. Often though individuals can feel judged by friends or family if they do not conform to the standard gender stereotypes. Over time this can leave a person feeling low and unsupported. Support through counselling in this area therefore is all about providing the space and the time to explore who you are as opposed to who you or others think you should be. Our aim in this area is to help clients, who bring the topic of gender identity to therapy, to become more aware of their psychological process and become more emotionally resilient in order that they can make healthy choices and feel more at ease with how they live their lives.